As the makeup and wants of households evolve, savvy developers are expanding their unit sizes to accommodate the broadening renter pool. There are 18.4 million multifamily rental units in the U.S. today. Only 1.6 million of them have three or more bedrooms. That amounts to only 8.7% of the total multifamily apartment inventory, according to data from the National Multifamily Housing Council (NMHC). Studio and one-bedroom apartments are fine for single renters. What about everyone else? The recent influx of smaller unit types in many U.S. markets leaves out a large segment of today’s renters — couples and families who need more space, not less. Over the next five to 15 years, multigenerational households, downsizing baby boomers, roommates, immigrant families, and young tenants with children are poised to dramatically change the renter pool — and the type of housing needed to be built for them. Demand for larger units is strong, and even though the one-bedroom unit has long been a staple of the apartment industry, developers will need to build product in coming years that satisfies a variety of households, needs, and lifestyles, industry experts say. “We’ve been seeing these bell ends of housing types that are being produced in the urban environment — you have market-rate and luxury, which seems to be predominantly studios and one-bedrooms aimed at the millennial generation, and then you have pure affordable housing,” says Scott Choppin, CEO and founder of The Urban Pacific Group of Companies, based in Long Beach, Calif.
A forward-thinking developer, Choppin has always monitored the market conditions in California. But as luxury apartment towers started to rise in Long Beach as the city recovered from the Great Recession, he didn’t like the outlook. The idea resonated with Choppin, who has a background in building affordable housing. It drove his company to come up with its Urban Townhouse (UTH) rental product, a brand of housing that’s designed to serve moderate-income, working class, and multigenerational families in California. “We’ve turned our attention exclusively to this idea of multigenerational housing, and that’s all we’re currently building,” he says. The firm’s change in direction comes at a time when the fabric of the American population is being rewoven. By 2024, population growth from immigration will surpass increases from native births for the first time, according to Hoyt Advisory Services’ research. Hispanic households, which make up the largest share of foreign-born residents in the country, are expected to account for 55% of that population growth alone. On average, immigrant families overall are 40% more likely to rent versus buy than native-born Americans, and NMHC research has found that they’re more likely to have multigenerational households as well — 53% of all immigrant households from the Latin American region specifically contain four or more people. In Long Beach, the majority of residents interested in Urban Pacific Group’s UTH units are Hispanic families. The typical UTH resident is a household of two to four wage earners sharing income, with two or three children and older relatives, such as grandparents, all under the same roof or living in very close proximity to each other. Choppin’s Urban Townhouse concept is designed with space to accommodate this kind of family structure. The three-story townhomes feature five bedrooms — the first floor is designed with a bed–bath combo suite for grandparents; the second floor has a second suite in addition to the kitchen and family living area; and the uppermost level has three bedrooms and a bath or two for children. The homes also offer private two-car garages and average 1,850 square feet in size. Rent averages $2,850 a month. Affordability concerns are top-of-mind and play a key role in this demographic’s housing choices. Choppin describes his residents as falling into the “moderate-income” category, typically earning 80% to 120% of the area median income (AMI). Stuck in the middle, these households don’t qualify for subsidized affordable units but are still priced out of many of the area’s new developments. In addition to recent immigrants looking for larger rentals, downsizing baby boomers and young families are driving demand for units with more space. In Washington, D.C., a job hub that’s historically been thought of as a transient city filled with career-driven millennials who don’t stick around for more than a few years, Horsham, Pa.–based Toll Brothers Apartment Living has seen a surprising demand for two-bedroom units from young parents who want to raise their children in an urban environment. 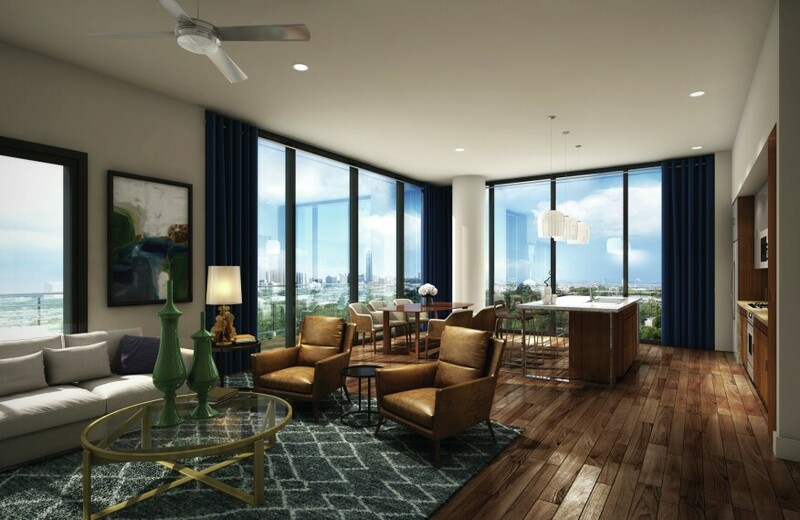 “The demand from families is definitely impacting how we’re designing our projects,” says Charles Elliott, president of Toll Brothers Apartment Living. 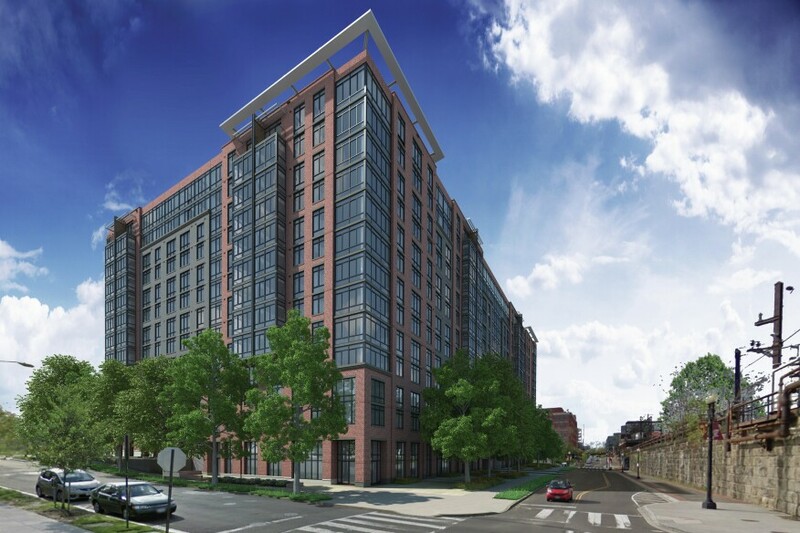 About one-fourth of the 525 units at the company’s Union Place, currently under construction in the District, are either two- or three-bedrooms, and the project’s amenities include child-care facilities such as playrooms in the development’s fitness center. Developers have found that the ability to adapt to residents’ needs in different lifestyle stages is key to a successful property. Eighty-three percent of respondents in a recent NMHC survey stressed the importance of having a living space that evolves with different stages of their lives. Plus, it ensures retention rates will be higher. On the other end of the spectrum, baby boomers are retiring in droves — 10,000 of them turn 65 each day, according to research firm JLL Valuation & Advisory Services –and are making the move to multifamily rentals. The 73 million baby boomers in the United States accounted for 58.6% of the net increase in renter households between 2006 and 2016, according to NMHC tabulations of U.S. Census data, making this demographic a key target for developers. Although they’re looking to downsize, transitioning out of the single-family home that’s housed them for the past 30 to 40 years means boomers are seeking a roomier floor plan than what a typical one-bedroom offers. “This demographic is coming into the rental market with a lot more stuff than millennials, and they’re used to having more space,” says Mark Culwell, managing director of multifamily development at Houston-based Transwestern Development Co. The firm has recently started building a higher share of larger, two- and three-bedroom units to answer the boomer demand. “[They’re] used to a certain lifestyle. They usually want to have an office, or a defined dining area, or some sort of extra space in the unit,” says Culwell. Boomers are also attracted to units with ample storage, powder rooms, and large kitchens for entertaining, he says. “We’ve just started delivering these projects in Dallas, and we’ve had extremely strong interest in the two- and three-bedroom units and much less interest in the one-bedroom floor plans, even though our one-bedroom units are around 1,000 square feet,” he says. With the renter pool changing dramatically, developers warn that continuing to zero in on small units might not be sustainable. This, developers say, may lead to obsolescence of some degree for projects heavily weighted with small units. While Choppin says he focuses on simple architecture and contemporary materials to keep the cost of his units down, land is where the company conserves money the most. Taking care of “problem” sites and blighted lots also gains the attention of local municipalities that are willing to help the company secure sites. “There’s always the possibility with any project that there will be friction in the permitting process, but we don’t run into that. We generally have a lot of support from the city because we’re, first, taking care of a site that’s a nuisance to the area, and second, in many cases, are the first new housing these areas have seen in decades,” explains Choppin. “I always ask cities if anyone else is proposing a true moderate-income housing option for working families, and the answer is always no, so they’re pretty enthusiastic about, and will help us with, financing the land,” adds Choppin. However, Choppin says he’s careful not to use government subsidies. The Urban Pacific Group funds its builds entirely through private capital. The company uses money from high–net-worth investors and has begun to tap into other sources of cash, including crowdfunding and social impact equity funds. Choppin sees the UTH concept as a viable business model in the housing market, both now and long term. Written by Lauren Shanesy | April 27th, 2018 | Copyright © 2018 Hanley Wood Media, Inc. All rights reserved. Interesting subject. Do you have an examples of such realization of Multigeneration Housings that exists? I am writing my diploma project that is why I would be grateful of giving me such an example.